What are the ethical ways to influence people? There are a number of tactics but the most common are described below. 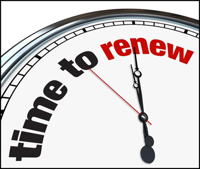 To effectively influence, it is important to reinforce a simple rule. When influencing others, use the influencing tactic that will work with them, not necessarily the tactic that works on you or the one that you prefer using. Learn enough about those whom you are trying to influence so you can judge what tactic works best. 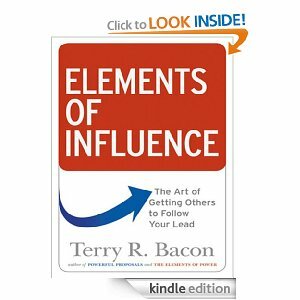 In the book, Elements of Influence, The Art of Getting Others to Follow Your Lead, Terry Bacon describes specific tactics that can help your influencing success; we point out some of them here. As leadership coaches we have worked with leaders for a number of years and can attest to their success when properly using these influencing methods. This is the most commonly used influencing tactic. It is simple. Use logic, facts, data, and rational argument to convince others to do something or think as you want. Most people are comfortable with this tactic because our education system prepares people to accept logical arguments. Most engineers, mathematicians, or project managers respond to this tactic. Legitimizing uses authority to influence. Authority can be your position, regulations, rules, and symbols of authority (such as a uniform). An example would be when we say to our team, “Management wants us to do it this way.” Enough said. Unless the steps are unethical, you know what to do. People who show respect for authority respond well to this tactic. A popular tactic, socializing is based on the natural human tendency to help people. If you are a friendly person, you use this tactic everyday. It is effective in the process of building of relationships. You may not be friends with the person you are influencing, but you share some level of identity. Your authentic caring stimulates them to listen to you and respond with acts signifying their desire to connect with you. When we collaborate with other people to take action or defend a position, it is influencing using consulting. If people contribute to your plan or your proposals, they are more likely to show support. To consult, you ask for input and demonstrate respect for the person’s position and ideas. Combining their input with yours to form a joint plan increases the total level of support and likelihood of success. Stating is the simplest influencing tactic. It means, simply, saying what you want or what you think. It works very well if you have are credible to the person you are influencing. Stating is an important tactic when you need quick compliance or there is danger involved. It also works well with subordinates, although its success is somewhat dependent on how you communicate the statement. These are five simple tactics that you probably use everyday without thinking. You can be even more effective if you know which tactic works for those you are trying to influence. Get to know others you need to influence and try each of these tactics. Continued practice in influencing helps increase your success. For more detail on these influencing tactics, we highly recommend Bacon’s latest book, Elements of Influence, The Art of Getting Others to Follow Your Lead. Author, executive coach, and leadership expert, Sidney works with university and corporate clients in growing their talent and results within all levels of the organization.